Remote site medicine requires a special blend of qualifications as well as emotional and physical stamina in order to deliver professional medical services 24/7 to remote site clients. Preparing to deploy to a remote site location should never be viewed as just going on rotation or even as a business trip. It requires immense preparation not only of the medics themselves, but also of their relatives and others whose lives may be impacted by their absence. We offer these insights as a guide those entering the profession on how to prepare for life in this most highly demanding yet also rewarding of medical careers. Arriving at a remote straight from training or a prior civilian medical job is not without its challenges; you are stepping into a new routine with a steep learning curve. 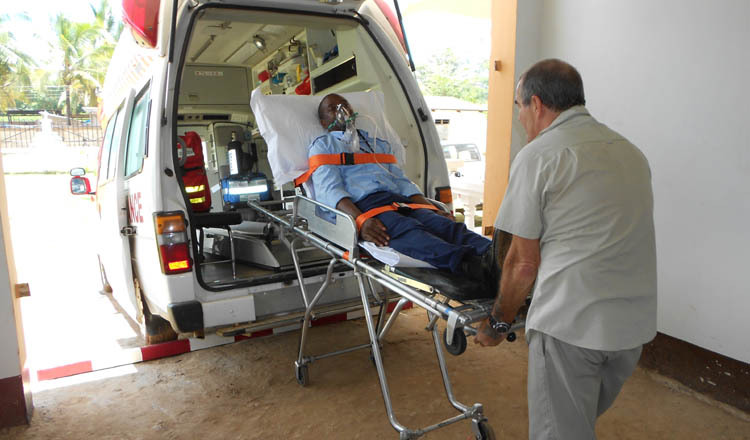 It is not unusual for new remote medics, even those with considerable experience as healthcare system paramedics and holding the requisite offshore medics’ certificates, to realise within days of arriving on site that they have not prepared themselves psychologically for deployment. In some instance, new remote medics become disorientated and disenchanted, and may complain of boredom or professional isolation when they finally settled into their new working routine. For some, the salary expectations are not able to compensate for the challenges they face personally, clinically and mentally. Remote medics experiencing these emotions may react to their new-found situation by ‘hiding away’ in their clinics; a move which can further compound their feelings of remoteness and isolation. This behaviour can have repercussions on clients who may feel that the medic deployed to their site is, in effect, unapproachable. It is imperative that remote medics are totally honest about their expectations and have the support and official mechanism to manage their role professionally and to ensure they, their employer and the end client are best served. There may be early warning signs that the life of a remote site medic is not for you. If, on arrival at the nearest main town to your remote site location, you are already struggling with a withdrawal of routine services, such as always-on WiFi, TV channels in your language or social media, then you will find that what are at first irritations can grow into rancour and exacerbate underlying mental and/or physical health issues once you are in the field. There is much to consider before you take on any remote site medical role. One of the first considerations is to take a good hard look at the company hiring you. It is crucial you have full confidence in the people tasked with managing and supporting you throughout your deployment. Mentally being prepared and having coping mechanisms are the cornerstone to success. It is important to get issues and concerns off your chest and not let them build up. However, use the proper company channels of communication rather than discussing them with clients and patients. The latter route can lead to greater isolation and resentment by all parties. First impressions do count. While any deployment can run into administrative delays – such as those involving letters of introduction, visa needs or flight availability – you should develop a good working relationship early on to get a feel for your employer’s style and level of communication; in particular, assess communications between yourself, HR and field operations. This is something we are particularly mindful of at Medilink. We ensure our remote medic corps has regular, open channels of communication available to it as routine and we also make frequent field visits in person to follow up and pick up on any issues face to face. It is often harder for those left behind to adjust at first. Shared household and family duties are now the sole responsibility of the partner or spouse remaining at home. Each time a medic is away, household dynamics shift, not just in terms of routine but also in terms of roles and duties. Often, older children step up to plate filling in for the absent adult, only to have to make a mental shift again when the parent returns. While the peripatetic life of a remote site medic is often compared to that of military personnel, civilian medics’ families can find it far harder to adjust even if they are used to the medic family member working anti sociable hours, finishing late and then doing additional overtime. However, they do not get the same automatic back-up as military families do. The latter, in contrast, may receive regular support in the form of welfare calls or additional monetary allowances for children’s extra-curricula activities. When calling home, remember that your family will be having its own set of adjustments and challenges. While it is only natural to be concerned about their welfare, they will, however, have their coping mechanisms, foremost among which will be their new routine. Your family at home will wish to know the sacrifices they are making are worth it. Before you moan about how tough it is on deployment, and you burden them with the minutiae of remote working life offering up details about the monotony of your diet or lack of social life, spare a thought for their routine. Often a spouse or partner has relentless duties and barely an opportunity for downtime either. When you return home, your family has to adjust to you being back. If you are delayed leaving a project on account of weather – or the failure of a back-to-back medic replacement to arrive – you will know that you may arrive home mentally and physically drained. This state of health and mind can affect the rest of the family too. Employers have a duty of care, but you also have a responsibility to manage your own risk. Clearly, a visit to your local GP practice can sometimes be frustrating as you prepare for overseas deployment as staff there may not have a full understanding of the requisite vaccines or chemical prophylaxis. A useful source for pre-deployment health information is the National Travel Health Network and Centre (NaTHNaC). The key to success in enjoying the peripatetic life of a remote medic is being able to hit the ground running, and keeping busy and proactive. Having a good understanding and expectation of what is available onsite well before you take up a deployment can make a real difference to your overall health and well-being. In addition, there are some easy practical solutions to easing your day-to-day life, such as taking a fully-loaded Kindle, an iPod, any ongoing course study work you have as well as a gym kit. The toughest aspect of working in a remote location is the realisation of just how the remoteness, isolation from your culture and the lack of family and friends can affect you. Last, but certainly not least, it is advisable to learn as much as you can about the culture of both the locality and client at the remote site before you leave. In preparing for a new project, you should always research the area thoroughly yourself before you leave. This is not only good practice, but it also prepares you as a remote healthcare practitioner to be ready for all aspects of primary and emergency healthcare, and be able to provide educational information on local and regional health issues and diseases, such as, for example, Dengue fever. Remote medicine is highly rewarding, but also one of the most physically and mentally demanding of all routes to take in the medical profession. It takes not only a raft of specific qualifications but also stamina and special personal characteristics to undertake professionally and to enjoy job satisfaction. If you’d like to find out more about opportunities as a remote medic with Medilink International, feel free to contact us and also sign up for alerts of vacancies below. Sign up for Medilink vacancy updates via email.